"Quick and easy to make this hearty, zesty soup. Makes a great meal with garlic cheese bread and a salad." In a large pot over medium heat, cook onion, zucchini and garlic in oil three minutes, until onion is translucent. Stir in crushed tomatoes, broth, sugar, Italian seasoning, wine and pepper sauce and bring to a boil. so delish! 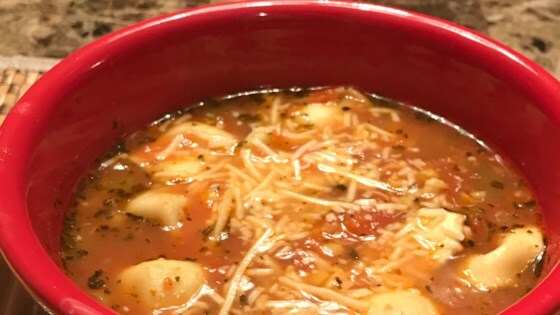 i added a bit more broth, wine, and garlic, and italian seasoning and it turned out AMAZING!! salt and pepper to taste and a nice hot baguette for dipping....perfect fall meal!